The Russian Federal Service for Supervision of Communications Roskomnadzor have asked Apple to remove Telegram from the Russian version of its store. According to Radio Free Europe, Roskomnadzor’s press service sent a letter to Apple on May 28 asking the tech giant to remove the app and block notifications for Telegram users in Russia in an attempt to make the application less useful for iPhones and iPad users. The cloud-based instant messaging app allows users to send messages and images through computers, mobile phones and tables with end-to-end encryption. In other words, only the communicating users can read the messages. 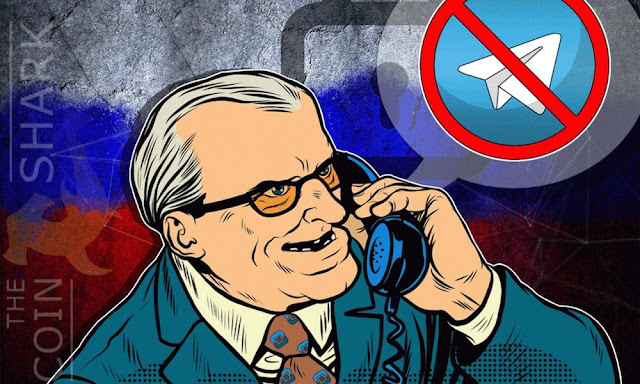 This communication system prevents any other service from monitoring or tampering the conversation, which is the reason why Russia is eager to have Telegram blocked. Russia’s ongoing battle to ban Telegram can be traced back to last April, when a Moscow court ruled in favor of banning the app because of their failure to provide Russian authorities access to read users’ encrypted messages. As well as claiming that the messenger app has been previously used in the planning terrorist attacks around the world. Despite the ban and efforts to get rid of the messenger app, Roskomnadzor has been unable to completely block Telegram and is still available in the Russian version of Apple’s App Store. Russian authorities have only been able to disrupt the apps operations by an estimated 30 percent. Brothers Nikolai and Pavel Durov developed Telegram in Russia back in 2013. After the launch of the popular messenger app, the service had to leave the country because of strict government regulations; currently Telegram is based out of Dubai and boasts over 100 million users with 15 billion messages sent each day. Apple has yet to respond to Roskomnadzor’s letter request but according to Russian news agency Interfax, Roskomnadzor director Aleksandr Zharov was quoted as saying that Apple had one month to reply to the regulator’s request. There is no information regarding what actions Zharov and Roskomnadzor would take against Apple if the company fails to comply with their request. Though privacy experts have speculated as to how Russian authorities would respond if Apple denies their request. “I wouldn’t rule out Russia blocking access to the App Store,” said Dr Joss Wright, Research Fellow at the Oxford Internet Institute, to the BBC.